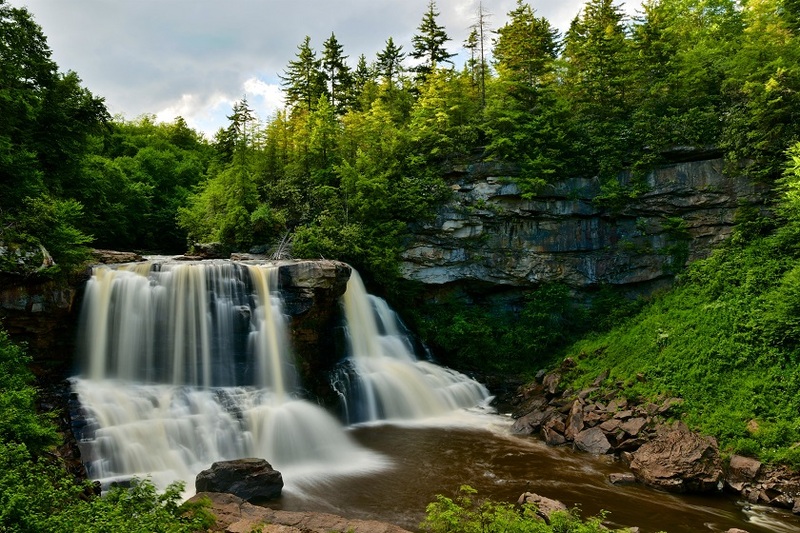 Located in the Allegheny Mountains of Tucker County, Blackwater Falls State Park is named for the amber waters of Blackwater Falls, a 62-foot cascade tinted by the tannic acid of fallen hemlock and red spruce needles. The falls, the main attraction of Blackwater Falls State Park, are accessible from steps and several viewing platforms that allow visitors to enjoy scenic views year-round. Blackwater Falls, and nearby Elakala Falls, Lindy Point and Pendleton Point Overlook, are some of the most photographed sites in West Virginia. The park offers lodging, and many outdoor recreational opportunities.